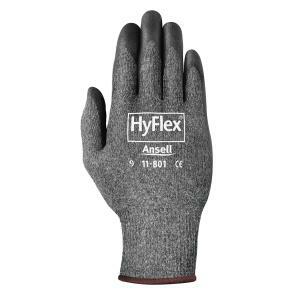 Ansell’s HyFlex® 11-801 gloves are ideal for dry or slightly oily applications that require light mechanical protection and high levels of handling finesse. They are well-suited to light assembly applications as well as to the needs of logistics and warehousing. The use of Spandex elastics prevents risk of latex allergy, while the silicone-free glove reduces potential contamination of the products.